All carbs aren’t bad carbs. Here’s the inside scoop on which are the best ones to eat. Carbohydrates are one of three macronutrients your body needs, with fats and protein being the other two. Necessary as carbs may be, many popular diet plans seek to limit the amount of carbohydrates you eat. Coming in many forms from fibers to starches to sugars, carbs provide your body with glucose, which gives energy for normal functioning and physical activity. 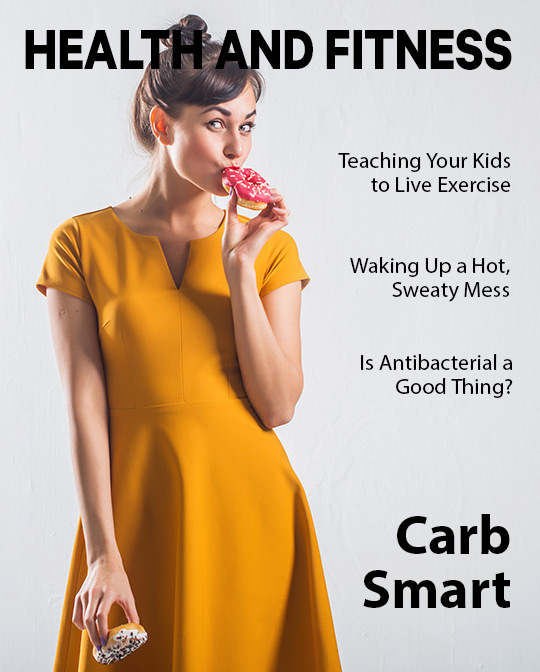 While carbs have a bad reputation, the problem isn’t necessarily carbs, but the type of carbs you eat. When it comes to eating them, here are the carbs you want to eat and the ones you should avoid. Filled with vitamins, minerals, and fiber, you can’t go wrong with vegetables. Make it your goal to eat a variety of colorful vegetables every day. Many people try to avoid starchy vegetables like potatoes, corn, and peas because of their high-carb content, but when eaten with other foods, their glycemic index goes down. Remember, smothering your vegetables in cheese, salt, sour cream, or sauces may make them taste better to you, but also makes them less healthy. While many fruits are high in natural sugars, they’re also loaded with essential vitamins, minerals, fiber, and phytochemicals needed for good health. Fruits like mangos, grapes, and bananas provide quick energy because they’re high in natural sugars, so it’s smart to go easy on them. Plan to eat fruit with a source of protein to help prevent your blood sugar from spiking. As an added benefit, fruit is a great way to satisfy your sweet tooth without overdoing it on calories, so keep fruit on hand for quick and easy snacks. Bread, pasta, cereal, and rice are often avoided because of their high-carb content, but eliminating these foods can make it hard to get enough fiber in your diet. The key is to look for 100-percent whole-grain options that contain little added sugar. It’s easy to get stuck and burned out on wheat or oats, so branch out and try other unprocessed grains such as quinoa, rye, barley, or brown rice. Beans, peas, and lentils may be high in carbohydrates, but they’re also rich in protein and an excellent source of fiber. Eat them by themselves or add them to soups, salads, or tacos. Other healthy high-carb foods are nuts and seeds. You can take your pick from almonds, hazelnuts, pecans, peanuts, chia seeds, or sunflower seeds and reap the healthy rewards of being filled you up and having a storehouse of long-lasting energy. Bad carbs that lead to weight gain and contribute to heart disease and diabetes are generally low in nutrients and high in added sugars. They’re often made with refined, white flour or highly processed. Unhealthy carbs usually digest quickly and cause a spike in blood sugar so soon after eating them you feel hungry again. These are the ones you want to limit or avoid completely. Where are they found? Fruit juices. These may be made from fruit, but they’re extremely high in sugar. Sodas, energy drinks, fruit drinks, and sweetened tea are also high in added sugars and carbs. Any bread, cereal, or pasta made from refined, white flour is high in carbs and low in nutrients and fiber. Unfortunately, this includes cookies, cakes, pastries, and donuts. Candies, ice cream, and chocolate (unless it’s dark chocolate) are also loaded with simple sugars. While made from potatoes, French fries and potato chips are high in carbs and loaded with unhealthy fats and sodium. Air-popped popcorn is source of whole grains and contains healthy carbs, making it a healthy and filling snack.